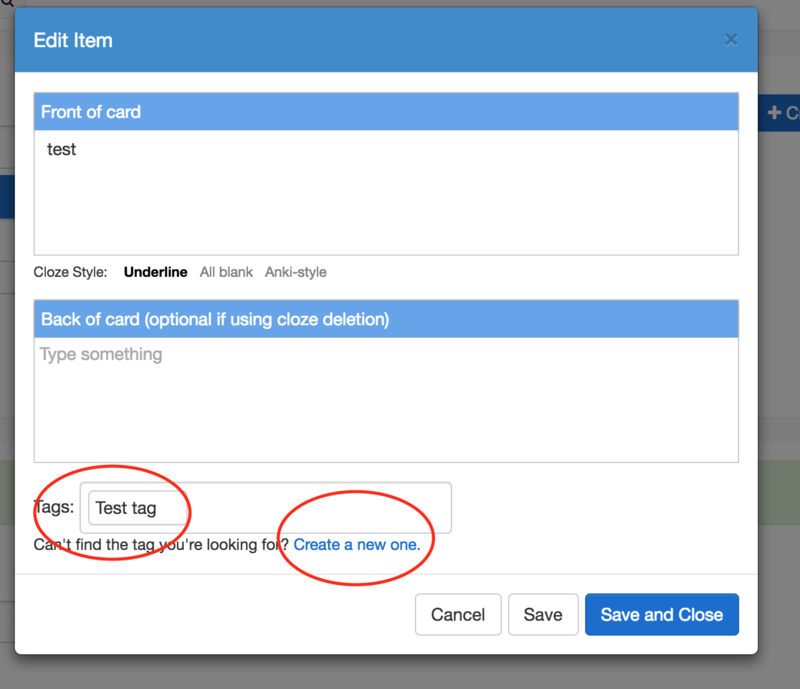 Create new card > click "Add tags" > click "Create a new one" > name your new tag > save the card and close (this allows for the system to formally recognize the tag). Open the same card with "edit card" > click add tags > place the cursor in the box that says "Add tags here (optional)" > select the tag > Save. 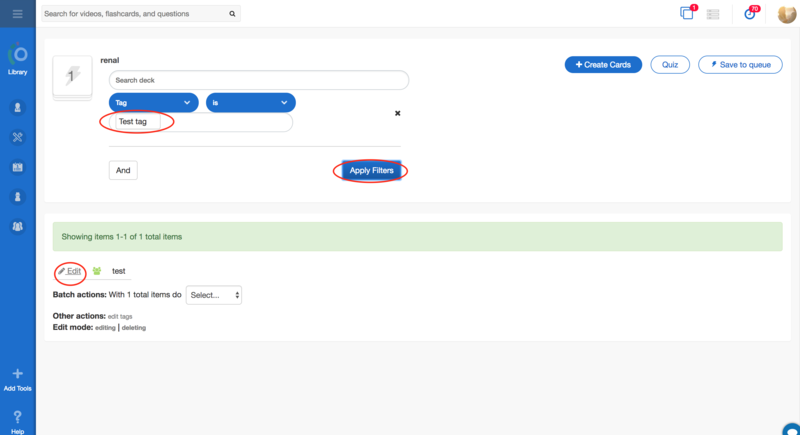 You can now quickly preview to see your card by using the filtering options.